Records obtained by News4 through an open records request reveal the newly appointed director of the Maryland State Anatomy Board alerted state officials in late July about what he described as a "serious inventory control problem." Robert Wilk, who took over the anatomy board last summer, wrote that he learned of a case in which a former employee "used anatomical material from the lab to ‘produce’ a body for cremation" and "wrongfully" obtained cremation approval before giving those ashes to a different donor's family. He also described discrepancies between the state board’s records and those kept by a donor institution, leading to confusion over which bodies had already been cremated. "We will get to the bottom of this," said Fran Phillips, Maryland's deputy secretary for public health services. "We don't want to leave any uncertainty about the state anatomy board." Carmen Keggins, of Ellicott City, said she's gone through "hell" since learning in August that she had been given the wrong remains for her late husband, Brian Keggins. The former engineer died in 2015 after a battle with ALS, and donated his body to help find a cure for the disease. Carmen Keggins was initially told that her husband was cremated in Maryland in November 2016. She buried his remains the following summer in a family plot. 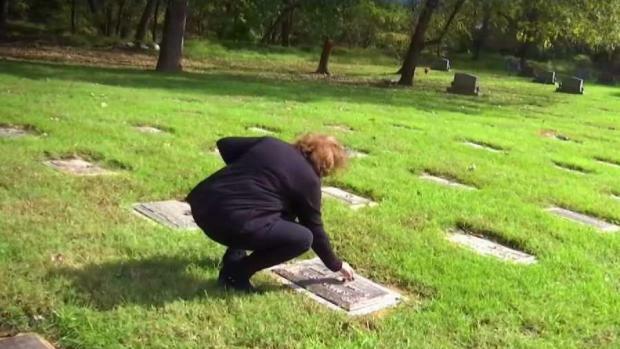 But in August of this year, Wilk provided her with a second box of ashes and records indicating her husband was cremated in North Carolina in July 2017. 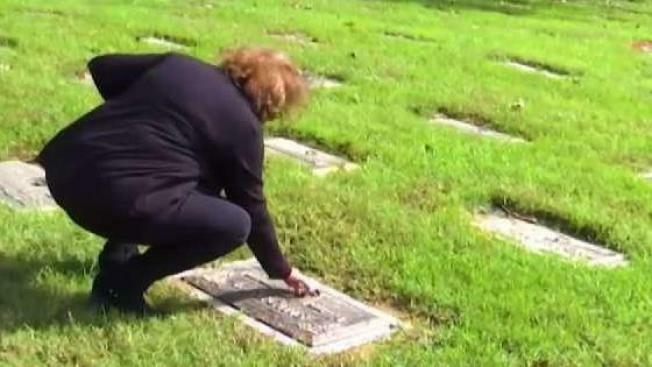 State officials have been unable to tell her, however, the identity of the person whose ashes she buried. "If I am the only one, why couldn't [they] figure out who the other remains belong to?" Carmen Keggins said, adding that the mix-up is "just devastating to me." Phillips, the department of health official, did not confirm that the July 30 memo referred to the Keggins case but said state officials have reached out to the donor's family. Wilk contacted Carmen Keggins within days of issuing the memo. And Keggins provided to News4 a copy of an apology letter Wilk sent on behalf of Maryland Gov. Larry Hogan, acknowledging the error. Phillips told News4 the state is still trying to understand how the wrong ashes were produced and delivered to the wrong family. She said the board is conducting an audit of donations from the past two years to determine whether additional errors were made. It's also instituting new verification standards, reviewing vendor contracts and retraining staff, with a preliminary report expected as soon as November. The employee who allegedly improperly cremated body parts is no longer employed at the anatomy board, Phillips continued, calling the incident "terrible" and "regrettable." Still, Phillips gave few details as to how many people could be affected. "We are reviewing all of the documentation to make absolutely certain, absolutely certain, that we know that this will not happen again," she said. In a statement, the University of Maryland School of Medicine said it's "committed to doing everything possible" with the health department "to make the State Anatomy Board an organization that has the highest level of quality assurance procedures in all of its mission areas, while maintaining caring and sensitivity to each donor." The Maryland Anatomy Board has been overwhelmed with unclaimed bodies in recent years, something Wilk suggested in his July 30 letter to state officials could have played a role in the program's failures. State records previously provided to the I-Team show the board received 1,130 unclaimed or donated bodies in 2000. By 2017, it received 1,720 in unclaimed bodies alone. Officials have at times attributed the surge to economic conditions and, more recently, the opioid crisis. In his letter to state officials, Wilk pointed to a 34 percent increase in overall volume during the past five years, which he wrote that, "without commensurate budget growth for staffing," could explain "why these errors have started to appear." Experts say the Maryland program's management problems highlight the need for strong federal standards governing both non- and for-profit body donation programs. States are given wide latitude to design their own rules, and best practices vary within each state and organization, said Todd Olson, former director of the anatomical gifts program at the Albert Einstein College of Medicine. "The states have not been diligent in regulating and overseeing, and doing regular investigations of the entities receiving the donations," Olson said, adding: "We all have a right to know: What has happened to the dead? What is their final disposition? Where have they gone?" Still, he said the mistakes uncovered in Maryland should not overshadow the benefits of the non-profit programs, as the cadavers are used to advance crucial scientific research. "Errors occur," he said. But the "benefits are enormous."